After years of researching it, thinking about it, and debating the pros and cons in my mind, I finally purchased a Vitamix blender. This blender is the Cadillac of blenders and like a Cadillac it comes with a hefty price tag. After spending almost four hundred dollars for this blender, I made my first smoothie and realized it was worth every penny. I have a friend who also loves to drink smoothies, so I told him about my Vitamix and how wonderful it is. When I told him he should get one, he didn’t seem very interested. Soon after I made my purchase, my friend came over my house and I offered to make him a smoothie. It was smoothie magic – in an instant he had a delicious, perfectly smooth smoothie. About a week later, I was at his house and I walked into his kitchen and on his counter was a shiny new Vitamix blender. Telling my friend he should get a Vitamix did not make him go out and buy one. It wasn’t until he had the evidence of what I had been telling him - a strawberry banana smoothie without one hint of a strawberry seed - in front of his eyes that he made the decision for himself to get one. I couldn’t force my friend to buy a Vitamix, but I did influence him. Last week, I participated in a Twitter chat at #g2great, the topic of which was Influence in Education. Similar to many of the times I have participated in a #g2great chat, I was still thinking about the thoughts and ideas that were shared even after the chat was over. This chat left me thinking about how we, as educators, can have an influence on teaching and learning. I have thought about how we can influence not just the students we directly teach, but also how our influence can extend beyond the four walls of our classrooms. In my first few years of teaching, I wanted to implement writing workshop so I asked my principal to purchase the Writing Units of Study by Lucy Calkins. He agreed and I began implementing the units in my first grade classroom. My daily writing time was transformed into a writing workshop in which my students were writing daily and thinking of themselves as authors. This was very different from the traditional writing instruction that occurred at my school. I began talking with my first grade colleagues about the writing workshop in my classroom. I also shared my students’ actual writing, which had a powerful effect. The other teachers became interested and wanted to make changes to their own writing instruction. A year later, all kindergarten through grade two teachers at my school were referring to the Units of Study and teaching through a writing workshop model. Through this experience, I learned about the power of influence in spreading my beliefs about my teaching practice. I knew what I believed to be true about effective writing instruction and I knew my students were benefiting. I felt so strongly about it, that I wanted to share with other teachers so their students could benefit, too. Of course, forcing teachers to implement writing workshop never would have worked. I was able to influence them by talking about what I know to be true about writing and by showing the evidence, students’ writing. Read a lot. Whether it’s books, journals, blogs, or articles, read to learn and understand what is effective practice and how student learning and teaching can be shaped to promote independent, life-long learners. Knowledge is power. 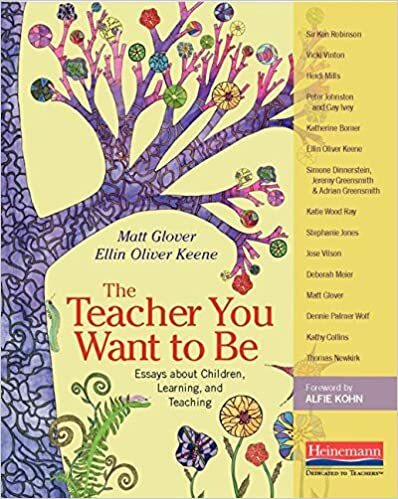 This year, at the New England Reading Association Conference, Katie Wood Ray sat on a panel of authors who were involved in writing the book, The Teacher You Want to Be. The panel was asked how we should best advocate for our instructional beliefs. She suggested that educators be able to articulate the reasons and purposes for doing what they do. Explaining the why makes it easier for others to understand our beliefs. I have found social media to be one of the best ways to extend my professional network beyond my own school and district. Educators on social media sites offer so much useful insight into teaching and learning and information and ideas can be spread widely and quickly. Recently, I started a virtual book club to discuss the book, Who’s Doing the Work: How to Say Less So Readers Can Do More by Jan Burkins and Kim Yaris. There are over six hundred members to discuss the book and hopefully, influence each other with insightful ideas as we reflect on what we've read. There is still time to join the book club before we start discussing the book, so if you'd like to take part join the Literacy Teacher Book Club Facebook group page. 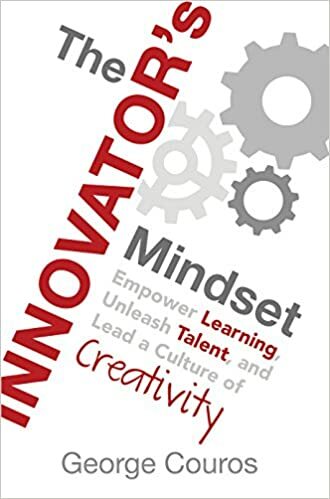 George Couros in The Innovator’s Mindset: Empower Learning, Unleash Talent, and Lead a Culture of Creativity states that teachers should always ask, “What is best for this learner?” in order to create better learning opportunities for students. Teachers can be innovative by thinking about how they can change or improve upon learning in order to provide purposeful, relevant, and engaging opportunities for students. We influence our students’ learning when we make changes to our practice with the needs of our individual students in our minds. I watched the film Most Likely to Succeed recently. The film highlights High Tech High, which has a very non-traditional curriculum in which students learn by doing and teachers facilitate learning that is personalized for all students. I’m sure this approach to teaching and learning has its advantages and disadvantages, but being open-minded about new ideas and principles that may be different from our own leads to new ways of thinking that can potentially lead to positive change. Professional organizations help to connect educators and seek to improve learning and teaching. 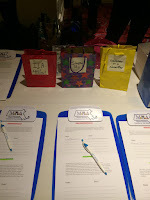 I am a member of the International Literacy Association (@ILAToday), as well as my state reading council, the Massachusetts Reading Association (@mraread), and local reading council, Southeast Regional Reading Council. 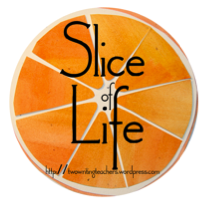 Through these associations I have had the opportunity to network with other educators, participate in activities that improve my teaching, and share my own knowledge and ideas as a conference presenter. Professional organizations, whether they are related to literacy or have another educational focus, have an influence on educational practices and our involvement helps to drive that influence. What are your experiences with influence in education? How else can we be influential in our attempts to share our beliefs and what we know to be effective practices for teaching and learning? Lisa, Thanks for this very thoughtful and thought-provoking post! You remind me of a conference i attended a few years ago, where they challenged all of us to be leaders in our roles, even if we don't hold formal leadership positions! That changed the way I think about what I do on a day-to-day basis. It empowered me (as your post does) to understand myself as an educator, what I believe and why, and to share that with folks. I try to foster an open atmosphere of sharing and encouragement with the faculty with whom I work. 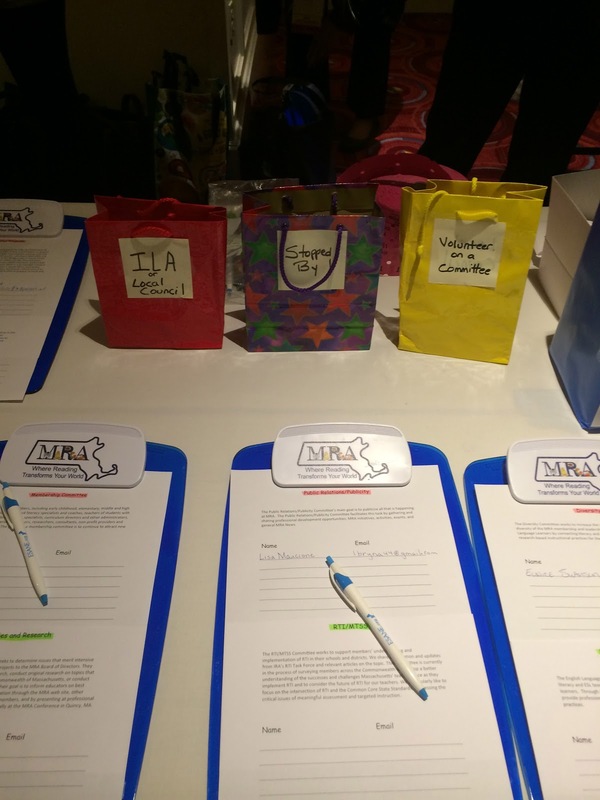 This past year, we focused on mindfulness in education and it was a great year! This year, I'm not sure what it will be yet, but this approaches forces me to continue to explore new avenues for myself first - otherwise, I have nothing substantial or meaningful to share with others. Thanks for the great resources in this post! Much appreciated. Keep up the great work! Thank you for reading and for your thoughts. It sounds like the conference you went to had a great impact on you. Sharing and empowerment are both so important as teachers. We've been talking about mindfulness at my school and considering ways that we can help students be more mindful. If you have any ideas, I would love to hear them. Lisa, thank you for sharing so many resources! We love the idea of being influential - change is often perceived as forced- influential gives it a different feeling. We have found social media to be an amazing resource -- but we also love having a group of local educators to reflect with. Thanks for a thought provoking blog. Yes, it is very useful to have others close by to go to in order to reflect. Without buy-in and ownership, change is very difficult and forcing change often lacks both. Thanks for your thoughts! Thanks for reading. Glad I could "influence" you to get some more resources, although your wallet probably doesn't thank me!